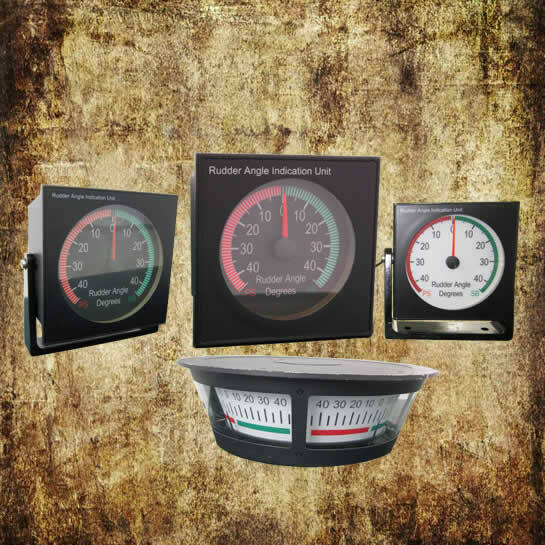 Rudder angle indicator is a remote device that indicates ship’s rudder angle and direction. An indicator consists of a transmitter and a receiver. The RAIS100 rudder angle indicator fully complies with the internatonal standard of ISO20673-2007 and IEC60945-2002. Approval Standard:1. Chapter 1 of Part 4 of CCS Rules for the Classification of Sea-going Steel Ships 2012 and its Amendments. 2. ISO20673-2007 Ships and Marine Technology – Electric Rudder Angle Indicator. 3. IEC60945-2002 Maritime Navigation and Radio Communication Equipment and System – General Requirements – Methods of Testing and Required Results of Test.